If a lizard can, why can’t we ? 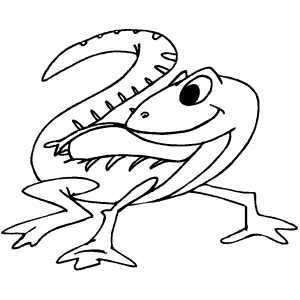 ≈ Comments Off on If a lizard can, why can’t we ? This is a story that happened in Japan. In order to renovate the house, someone in Japan breaks open the wall. Japanese houses normally have a hollow space between the wooden walls. When tearing down the walls, he found that there was a lizard stuck there because a nail from outside hammered into one of its feet. He sees this, feels pity, and at the same time curious, as when he checked the nail, it was nailed 5 years ago when the house was first built! What happened? The lizard has survived in such position for 5 years .In a dark wall partition for 5 years without moving, it is impossible and mind-boggling. Then he wondered how this lizard survived for 5 years! without moving a single step–since its foot was nailed! So he stopped his work and observed the lizard, what it has been doing, and what and how it has been eating. Later, not knowing from where it came, appears another lizard, with food in its mouth. For the lizard that was stuck by nail, another lizard has been feeding it for the past 5 years. It has been doing that untiringly for 5 long years, without giving up hope on its partner. Ah! He was stunned and touched deeply. Imagine what a small creature can do that a creature blessed with a brilliant mind can’t. Please never abandon your loved ones. Never say you are busy when they really need you. You may have the entire world at your feet. But you might be the only world to them.A moment of negligence might break the very heart which loves you through all odds. Before you say something just remember, it takes a moment to break but an entire lifetime to make.